It's no surprise that Halloween is one of my favorite "holidays" probably because my birthday is three days before Halloween. But really, I just love dressing my girls up and taking them Trick-or-treating. This year we decided to have a Pre Trick-or-Treat party and thanks to Stop & Shop I was able to get everything I needed for our party and more. As soon as we walked into Stop & Shop I immediately noticed their Halloween display! And can I just say Stop & Shop was definitely Halloween ready. They had candy for miles and their Halloween decorations were incredible! Not to mention, everything had a FANTASTIC price. My only concern was making sure I didn't purchase their entire Halloween section. Thankfully if I did, it likely would have been in budget. No Halloween party is complete without candy, RIGHT? And Stop & Shop has the best selection! All of Stop & Shop Halloween decorations called my name but here is what we choose. My daughter loved this Table cloth, it's thick and the colors are gorgeous. 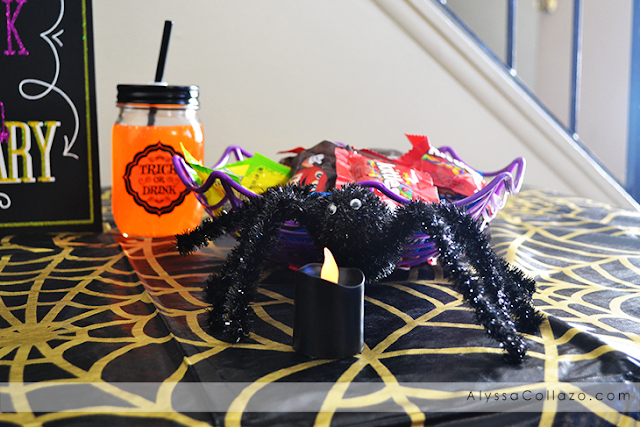 We also found some really good deals, like Halloween mason jars for 99 cents and no table is complete without spiders, candles and of course a Halloween sign! Our Pre Trick-or-Treat Party was a complete success and everything we purchased was under $50. You just can't go wrong at Stop & Shop. You can find all of the items in this post at your local Stop & Shop and right now you can get $5 off when you sign up here! Take advantage of this deal and get Halloween ready. My youngest daughter started buying halloween stuff about a week ago for her bedroom - she loves stores like this! I love the cup!! What a great pre trick or treat party set up, my kids would love this! WOW! They have their display up early! I haven't seen too much around here! Those are amazing decorations!! I love the mug and the sign! Oh man, woohoo Stop and Shop! I am actually headed there tomorrow so now I'm super excited. I started buying a few things for Halloween! I love this season! 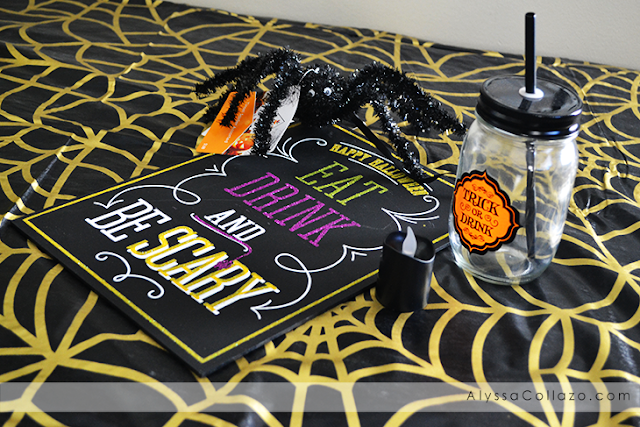 This looks like such a fun way to spread the Halloween spirit before trick or treating. Love the idea of a pre party because the night can get really late for little ones like my kids. I really need to get my decor out! It is one of my favorite things to do to compliment my favorite season!!! We have a little pre- party at my inlaws each year! We make some pumpkin cookies! Wow. I'd love to take my grandchildren there. They'd have a blast choosing Halloween decorations and candy! I can't believe you got all those goodies for your party for less than $50. Stop and shop is worth my stopping and shopping! They have a lot of awesome items to choose from which both the kids and the grown ups will love! I really like how you decorated the place, it's perfect for the Halloween. They have good candies as well. How awesome is this place! It seems like everyone has got Halloween on the brain! It sounds fantastic especially since you managed to put together a party for less than $50 dollars well done! That was fun for sure! Halloween is really exciting my son can't wait to shop halloween stuff. Wow, these are great things for the Halloween! My son will surely love these for his trick or treat party! Oh, i love this post. I need to buy ahead of time so I won't rush on Halloween! This is great! Getting ready for Halloween!! Great pick up! You guys are going to have a fun halloween party! Looks like you guys will be having a blast on Halloween. I don't have a plan yet and this helps. I have never been to a store like that but it looks like there is a huge selection. I need to find somewhere like that by here. I've never been to Stop Shop before. I don't think that I have one around here either. Sounds like a great place to get some nice items though. No wonder she loves the tablecloth. That is super duper cute! Ahh this looks great! I can't believe it's halloween already! What a great looking display. Fun time of year! What a great pre trick or treat party. 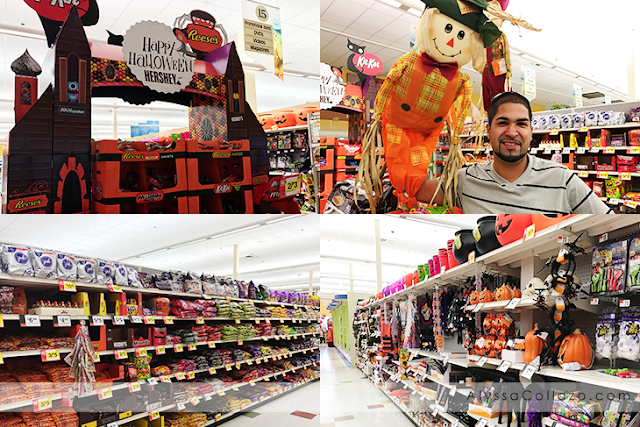 Stop and shop has some great products to celebrate Halloween at a great price. I love when they put out all the Halloween goodies! We love celebrating Halloween. This is amazing! I just love all of these decorations and such a great deal! Their Halloween display is awesome! I love going to Stop n Shop because I save so much money over other stores which allows me to buy more lol. Those are all so cute! Now I can't wait to decorate for Halloween. I don't think we have a Stop and Shop here though. Will have to check that out. I love the cup!! What a great pre trick or treat party set up, my son would love to have some kids over! wow, I love all those Halloween party selections. Thanks for sharing! I don't think I've ever heard of Stop & Shop before but I'll check them out. I'm loving all of the Halloween decorations and it's getting me in the mood for the holiday. Omg what fun is this whole setup!!! 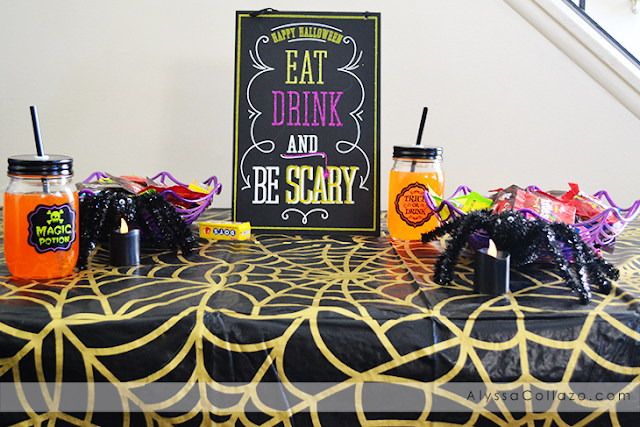 Halloween parties are the best to plan and set up! What a great and fun idea. I know my neighbourhood children would love this. That party came out amazing! All this for under 50$ Very impressive! Wish we had a Stop & Shop here in Montreal! I have a stop and shop right down my street that I shop at all the time. I love taking the kids down the halloween decorated aisle to look at all the fun stuff they put up each year. 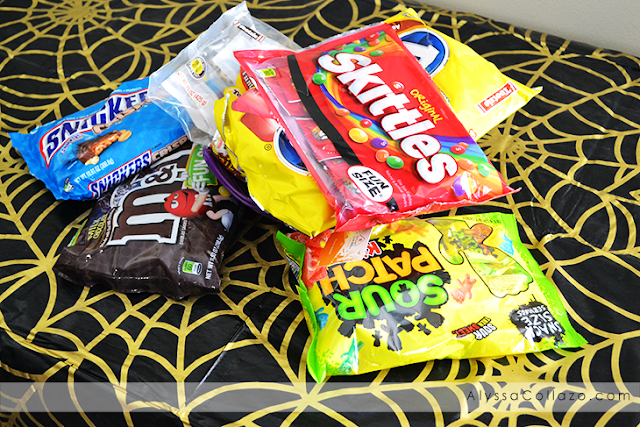 We have grabbed a few bags of candy already and can't wait till it gets closer to halloween day! My kids are having a Halloween party this year. I will have to look for a location near me to go decoration shopping. Halloween is super fun... I love decorating for it and getting the kids all ready AND, of course, taking them out trick or treating... Halloween parties are awesome, great stop shop! Me in a party shop is a bad idea. lol. I love shopping and end up spending more than my budget. This one looks awesome!